Young Sam Santiago feels energetic as he satisfied the crowd with “You Light Up My Life” by Leann Rimes at the Radisson Lodge Lounge in Grand Rapids, Michigan. 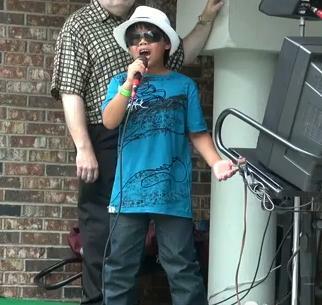 Quickly, Sam fills the request box and appears a second time on stage with “Don’t Stop Believing” by Journey. Fans start piling up at his table asking for his name and information, others recognized him from his recent appearance on WZZM13. Sam was truly feeling his moment of stardom that night and deservedly so! Stay tuned for his other two songs which will appear here very soon! 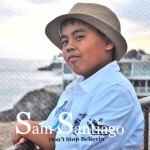 Be sure to leave Sam a comment below and let him know how much you enjoyed his performances! Great Job Sam! Keep up the great work! You will go far very talented young man! What else i can say, your AMAZING!